Imagine “Any City USA” (in my case, NYC) and all of its hustling-bustling glory. The blinding lights that never go out, the persistent honking of EVERY car, taxi and bus on the roads, the smothering smog that hangs in the air, the no-sense-of-personal-space commuters and yes, that indescribable, odoriferous odor that wafts through every street come trash days (especially in the heat of the summer). The town is Carmel-by-the-Sea, California. The the place to rest your weary head is the Hofsas House (located between 3rd & 4th Ave on San Carlos Street), and the time you need to go is NOW (did you not read the paragraph above? get with the program). Carmel-by-the-Sea, often called simply Carmel, is a small city on the Monterey Peninsula. Founded in 1902, Carmel is known for its natural scenery and rich artistic history. If my intro didn’t entice you enough, I am confident my own personal experience in Carmel and at the Hofsas House will. This family owned 38-room boutique establishment was the ultimate getaway with ocean views overlooking the pines. It makes you want to turn off the TV, shut down the iPad, let your cell phone die (and not re-charge it), kick your shoes off and enjoy the sun and stars as your sources of light. With her inviting persona and ideal location, the Hofsas House is a prime vacation spot for a romantic weekend away with your honey or for a solo trip to reconnect with YOU (which is what I opted for after a business trip to San Fran). Hofsas House is like a luxurious massage that never ends – ridding unnecessary stresses upon entering the front Dutch door. The charming decor added just the right amount of familiarity for instant comfort yet the amenities quietly reminded me I was on VACATION: cozy king size bed, a private kitchen stocked with wine and cheese, a fireplace (indoor s’mores anyone?!) and the front balcony overlooking the most glorious gifts of nature. The Pacific Ocean glistened with tiny diamonds in the horizon – I was officially off the clock (at least for 3 days). With a glass of wine in hand, I grabbed a book (Proof of Heaven by Eben Alexander, M.D. – oh, the irony), curled up with a blanket on the balcony, and embraced the views of the immaculate sunset Hofsas House has become famous for, staying just long enough to welcome the full moon. One of the most enjoyable parts of my trip was the Carmel-Wine-Walk by-the-Sea™ and I recommend you make time for it. ‘Sip , swish and spit’ at your own pace, visiting 9 different tasting rooms all stocked with local estate-grown still and sparkling wines (all within a 1X1 square mile radius). Don’t forget your ‘passport (which you can get it at the Carmel Chamber of Commerce Visitor Center) – it provides a $10 flight at each room . Each sampler offers something unique, you spend the day with wonderful folks, and all the wines are locally crafted to perfection. Best of all if you do buy a bottle (I purchased and very much enjoyed the Sauvignon Blanc from Wrath Tasting Room and Merlot from Shale Canyon Wines), the corkage fee is waived from most restaurants in the Carmel area, including Mundaka. Deliciously decadent and perfectly portioned, the only negative thing I have to report is I stuffed myself silly! At the end of our meal the owner came out to ensure everything was prepared to our liking. Fabulous Sangria, food and (new) friends – I couldn’t ask for much more (but I did when I requested the waiter to surprise me with dessert and he brought out something I can only describe as “death by chocolate crepe”. CC muerto! I have had a long-standing love for Dr. Seuss (little known fact: I wrote all of my college entrance essays inside a drawing of “The Cat in the Hat” ), so you can imagine my delight when I came upon the Art of Dr. Seuss gallery. Located on San Carlos Street, it’s a must see – I walked right back in time and my 6 year-old self squealed with delight at the framed masterpieces. My favorite showcased was his original rendering of the ‘Cat’ (for obvious reasons). Upon my departure, I sipped my last cup of mint tea on the Hofsas House back deck and “reflection hour” commenced . Carmel-by-the-Sea is a true gift – a hidden charm that up until this trip remained unknown to me (and likely you). A village that reflects Dutch architectural charm, Pleasantville’s poise, yet oozes artistic expression and left-brain flow – it gets my highest rating (Fact: After the 1906 San Francisco earthquake the village was inundated with musicians, writers, painters and other artists turning to the established artist colony after the bay city was destroyed). Now I cannot bash my Big Apple too much…she is my heart and I really do love living here, but ever comes the day that the owners of Hofsas House want to adopt me, Carmel-by-the-Sea might just be the place for me! Carmel-by-the-Sea is an exceptionally dog-friendly city. Most hotels allow dogs to stay with guests. Almost all restaurants that offer outside dining allow dogs in those areas, with most of them also offering water. A few have special “doggie menus.” Many retailers allow dogs to accompany their owners in their stores and many have treats available. Water bowls and dog biscuits can also be found in front of many stores. Though often mistakenly thought of as an urban myth, the municipal code prohibits wearing shoes having heels more than 2 inches in height or with a base of less than one square inch unless the wearer has obtained a permit for them. While the local police do not cite those in violation of the ordinance, this seemingly peculiar law was authored by the city attorney in the 1920s to defend the city from lawsuits resulting from wearers of high-heeled shoes tripping over irregular pavement distorted by tree roots. Permits are available without charge at City Hall. Carmel-by-the-Sea experiences a cool summer Mediterranean climate normal in coastal areas of California. The wet season is from October to May. September and October (Indian Summer) offer the best weather of the year, with an average high of 72 °F (22 °C). You love the great outdoors, you really do but you were somehow gifted with that sweet blood mosquitoes crave. Not only that but your body simply doesn’t do well sleeping on the ground and, let’s be honest, it takes no small amount of lighter fluid and matches for you to warm your hands over an open fire. Travel inspiration website DreamPlanGo suggests you go “glamping” instead. Short for glamorous camping, glamping gives travelers the best of both indoor and outdoor worlds. As in, explore the majesty of Yellowstone, but return to a down bed and gourmet meal at the end of the day. Sound alright? Keep reading. Choosing your glampsite – Unlike traditional camping where pitching a tent and maybe inflating an air mattress are your only accommodation options, glamping offers you much more to choose from. Does a treetop abode with running water and goose-down comforters speak to you? What about a yurt or villa? Regardless of your budget, country preference or sleeping needs, you’re bound to find a glampsite that speaks to you. No need to pack – You’ll still need to bring clothes, of course, and hiking gear, but no need to do the heavy lifting. Leave the cookware, lanterns, sleeping bags and clumsy tent at home. What you’ll be doing – The beauty of glamping is that you can still enjoy the rush of fly fishing and reinvigorating hikes, you just won’t have to worry about meals or getting a poor night’s sleep. Depending on where you glamp, you may even have access to more activities and excursions than you would camping. Many hosts are extremely knowledgeable and will go to great lengths to ensure you have memorable experiences to write home about. Enjoy your summer glampfire & glampagne! Having dated MANY an artist, I am all too familiar with what I like to call “MWS”, AKA ‘music withdrawal syndrome’ – don’t bother googling it. I made that up! It is the moment that you are on vacation and the person you are travelling with starts to yearn obsessively for their sweet Taylor, Martin or even Harmony back at home. The obsession leads to air strumming and making every coconut, tree branch and sun umbrella into a make-shift guitar. I’ve even had my bare leg used as a pseudo acoustic – not fun! Leave it to the Coppola Resorts to step onto a luxurious page of its own with this new offering at his Belizean resort Turtle Inn…COMPLIMENTARY GUITARS TO ALL REGISTERED GUESTS. 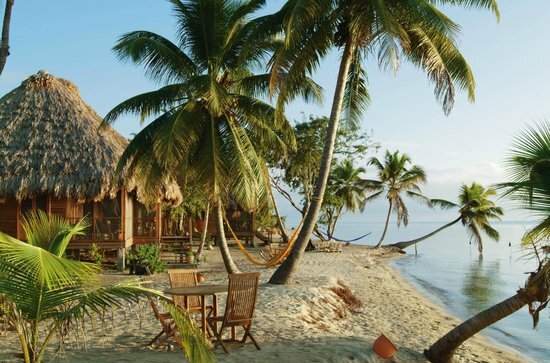 Music lovers need not despair any longer…Turtle Inn, Francis Ford Coppola’s beachside resort in Belize, is now offering complimentary guitars for guests to use at their leisure – whether it’s for a moonlit serenade with family and friends or a private concert for two in a seafront villa. This musical experience will complete your stay in paradise. To secure a guitar for one day or for your whole stay, you do need to make a reservation (and methinks this popular added amenity will be a popular one, so my advice would be to book your guitar when you book your stay at this exclusive resort). To make a reservation or inquire about more information regarding Turtle Inn, call (501) 824-4912/14 or visit coppolaresorts.com/turtleinn. If you are looking for a travel companion – my calendar is clear! The Coppola Resorts are a collection of unique award-winning properties where stylish and eco-friendly exploration and discovery meets serenity and delight. Drawing upon inspiration from his film career and travels to the far reaching corners of the world, each resort is an ideal destination known for the intuitive nature of the friendly staff to the allure of exploring the natural wonders of the area while relaxing in tranquil surroundings. Francis puts it best saying, “There are things to do – or just do nothing.” The Coppola Resorts offer a glimpse into the values that Francis holds dear – family, fun, adventure, and great food and wine. These elements can be seen throughout each property, weaved into the landscape, creating a personal Coppola connection for all to enjoy. The Coppola Resort properties at Blancaneaux Lodge and Turtle Inn have been listed as the “Best Resorts in Central + South America” by Travel + Leisure magazine, as well as many other travel authorities. www.CoppolaResorts.com. Where are you watching the Sunset…? 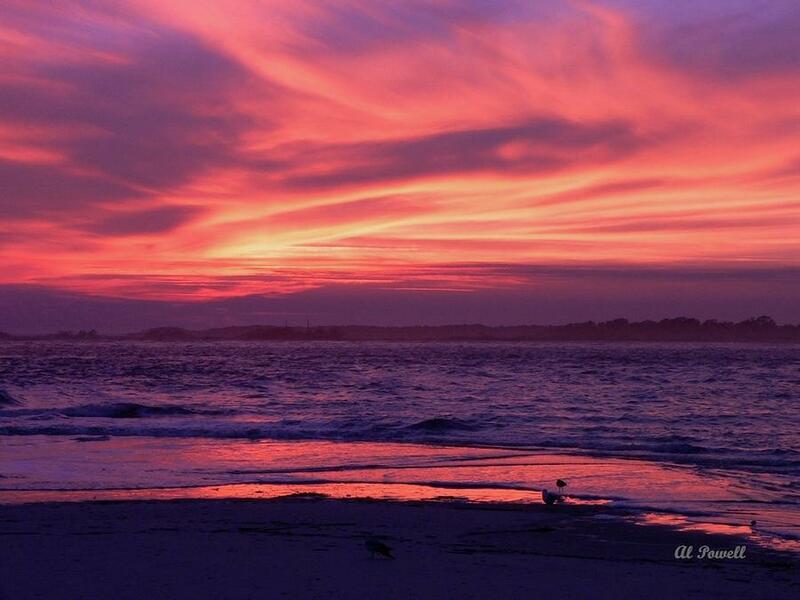 Tybee Island, GA voted a top place to watch the sunset – we see why! No need to span the nation looking for the perfect place to watch magical sunsets – USA TODAY readers did it for you and voted Tybee Island, Georgia, a vacation paradise located just 20 minutes east of historic Savannah, one of the 10 Best Places to Watch a Sunset. Tybee joined a variety of popular sunset destinations including Key West, Fla. and Sedona, Ariz.
With five miles of beaches, great seafood and a wide range of outdoor activities, Tybee Island proudly offers plenty of family-friendly fun all year-round. Tybee Island is an ideal place to ride bikes, collect shells, hike, swim, fish, shop, dine, sunbathe, jet ski, parasail, kiteboard, surf or kayak. However visitors spend their days, they love the authentic Southern beach town atmosphere that defines Tybee Island. Southern Living has honored Tybee Island as one of America’s “Perfect Little Beach Towns.” Parents magazine has included Tybee on its annual list of the Best Beaches for Families, and Fodor’s has named the island one of the Best Family Beaches on the East Coast. The 10 Best Readers’ Choice Travel Award contest launches one new category each week, revealing its 20 nominees. Nominees for all categories are chosen by a panel of experts. In week five, winners are revealed, from an award category launched four weeks prior. The public can vote online for one nominee per category, per day. 10Best.com provides users with original, unbiased, and experiential travel content of top attractions, things to see and do, and restaurants for top destinations in the U.S. and around the world. Are you looking for the perfect vacation on the East Coast? Tybee Island just might be the perfect place for you…For more information about Tybee Island: www.VisitTybee.com.